If you are still interested in attending the live Princess Leia’s Stolen Death Star Plans orchestral concert on October 20 in Berkeley, we still have a limited number of seats available in the second row (first row is sold out!) for our “VIP Plus” fundraising donors. 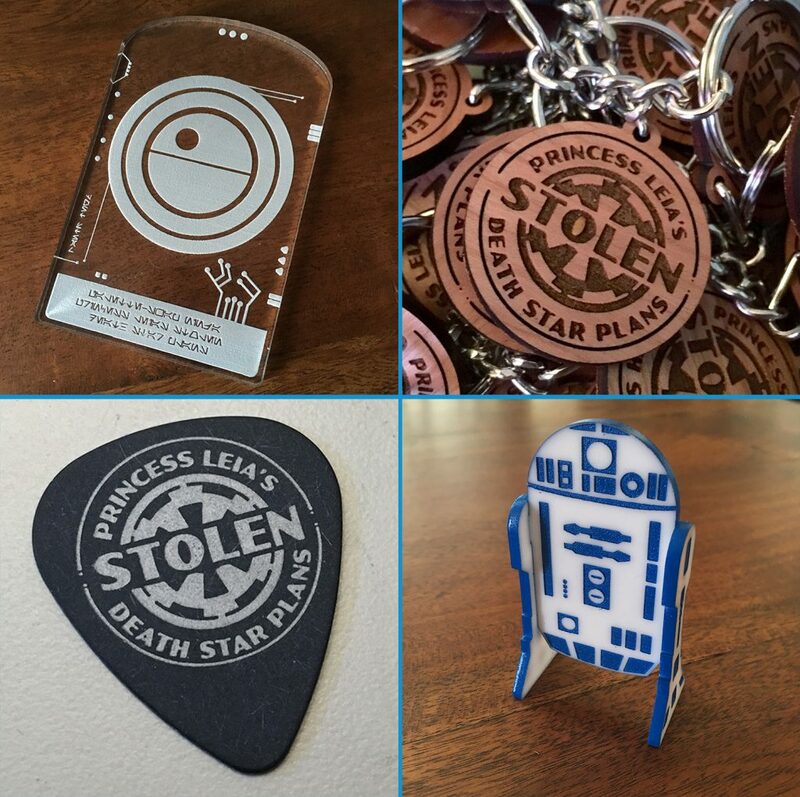 These seats come with a special souvenir pack for each person, including the four items you see here: a laser-cut wooden keychain, two PLSDSP guitar picks, a small model of R2-D2 (your parents help you put it together! ), and a replica of the Death Star Plans themselves (inspired by the ones seen in Rogue One). There are a few other things in there too, but we’re keeping a few items a surprise until the event! If you like what you see, hit up bit.ly/PLSDSPtickets to secure your VIP Plus seats before they’re all snapped up. As always, thanks for your support — fundraising is going well, and once we cover our costs, all the dough goes to Awesöme Orchestra Collective. MTFBWY!